The back side of the “Adventure Time Free Library” on 71st Terrace in Prairie Village. 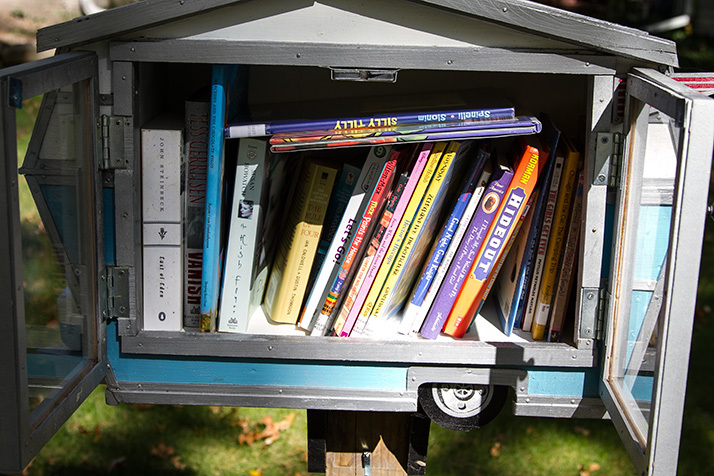 On Monday, Brian Collins told the Leawood City Council he believed Little Free Libraries were “works of art” that should be subject to freedom of expression protections. 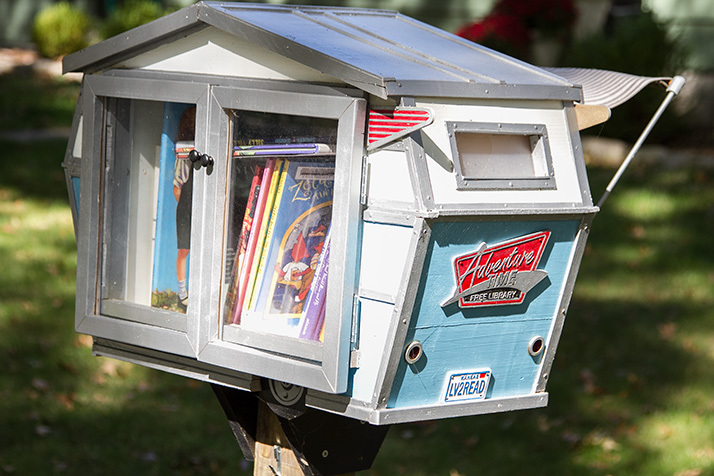 A new Little Free Library in Prairie Village goes a long way in supporting that point of view. 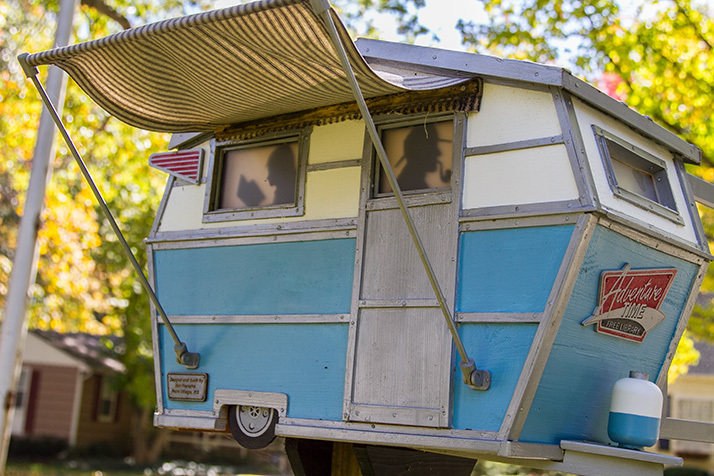 The Little Free Library on 71st Terrace between Tomahawk Road and 71st Street, just southeast of the Village Shops, takes the form of a camper, complete with pop-up awning and the backlit sillouhettes of people inside. The LFL is the work of 71st Terrace resident Mark Franzke, who built it for his neighbor three doors down. She and I had been talking about doing one of these and I said, ‘If we’re going to do this, let’s do something fun,’” Franzke said. Among the concepts Franzke sketched out before they settled on the camper were a bookmobile and a saloon. “I like that it had that kind of retro look to it, that it was something you could have a vintage feel with,” Franzke said.